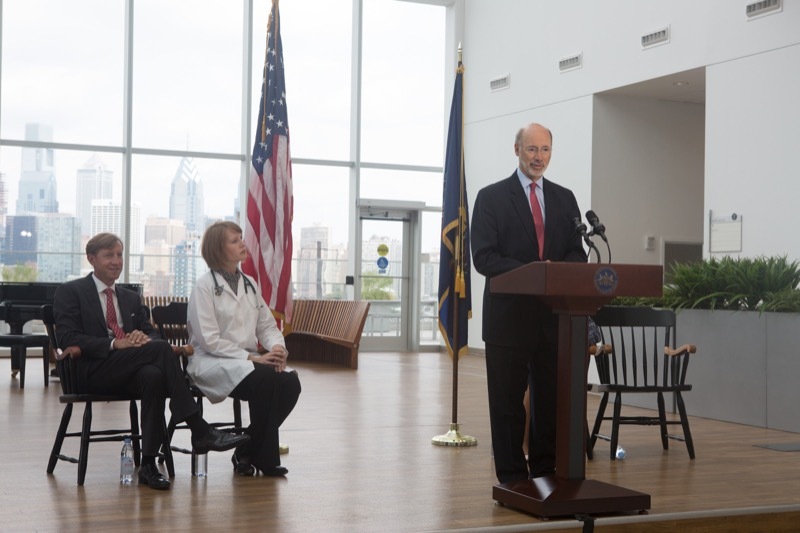 Harrisburg, PA - Today, Governor Wolf joined Wegmans executives and others to toast sales of wine to go, which began this morning at the Mechanicsburg Wegmans located at 6416 Carlisle Pike. 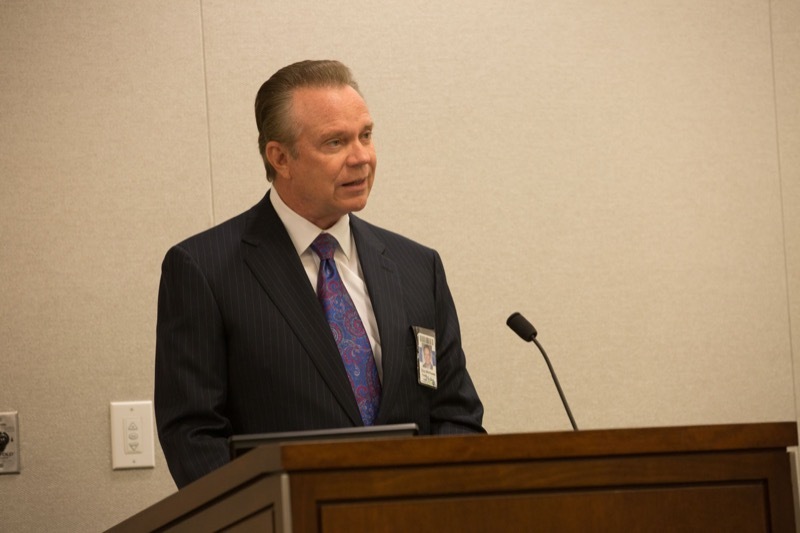 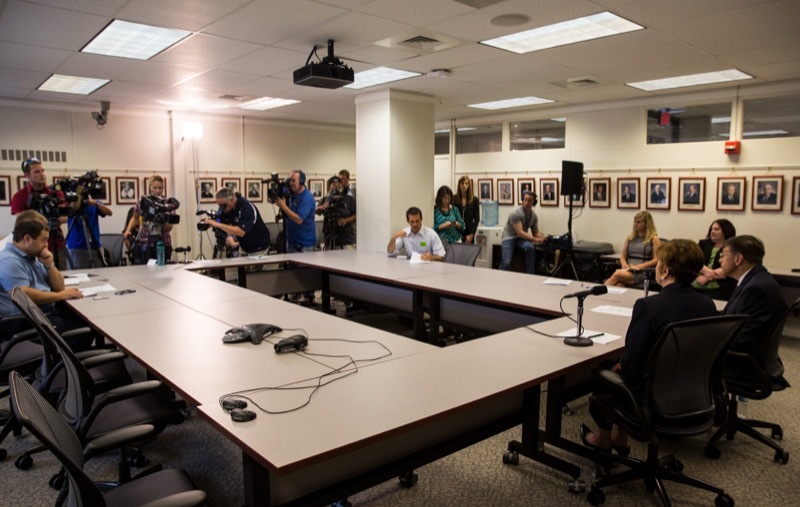 As of Wednesday afternoon, the PLCB had received 243 requests for wine expanded permits authorizing the sale of wine to go, and it had issued 120. 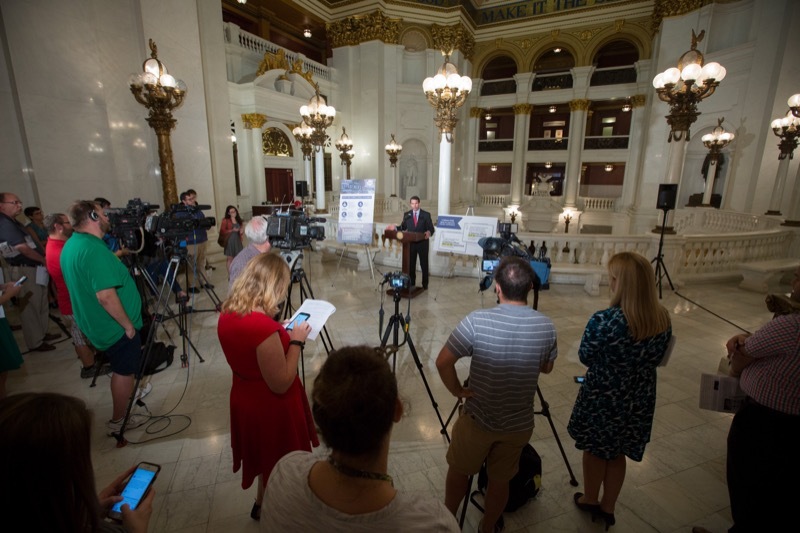 The Mechanicsburg Wegmans is the first of 17 Pennsylvania Wegmans stores to begin selling wine to go, and it is anticipated all Wegmans locations in Pennsylvania will offer a robust selection of hundreds of wines at various prices this fall. 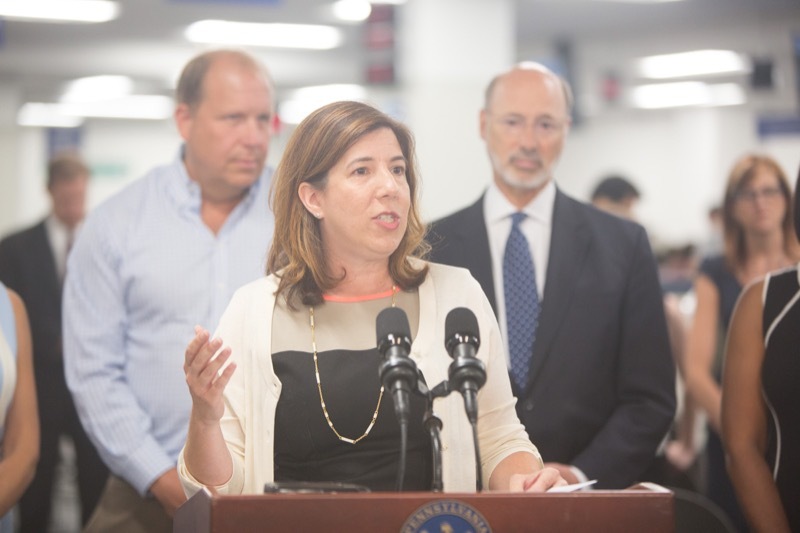 Wegmans Food Markets, Inc. is a 90-store supermarket chain with locations in Pennsylvania, New York, New Jersey, Virginia, Maryland, and Massachusetts. 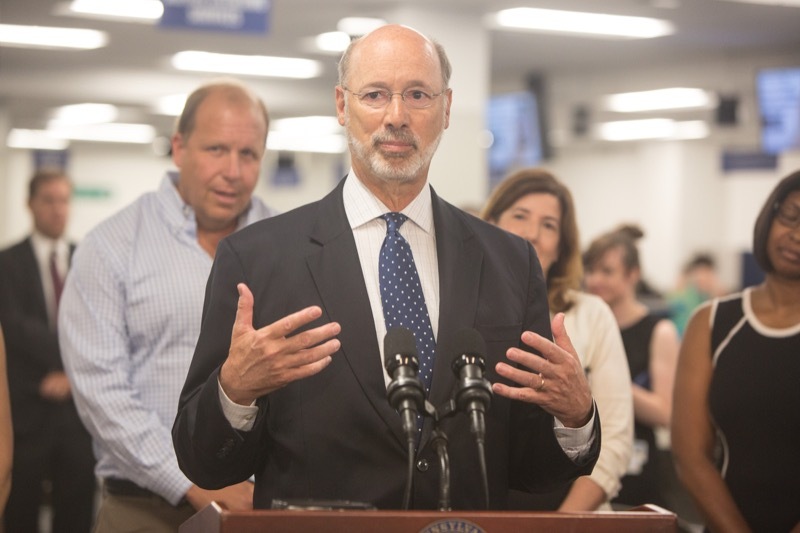 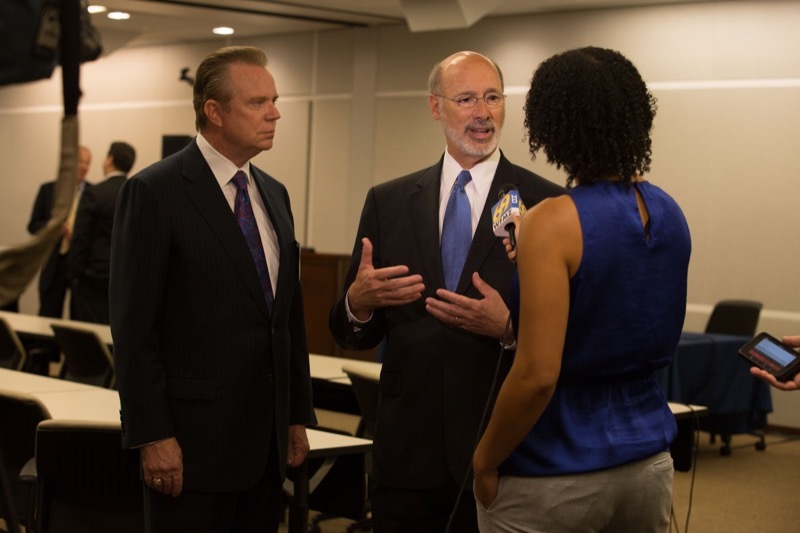 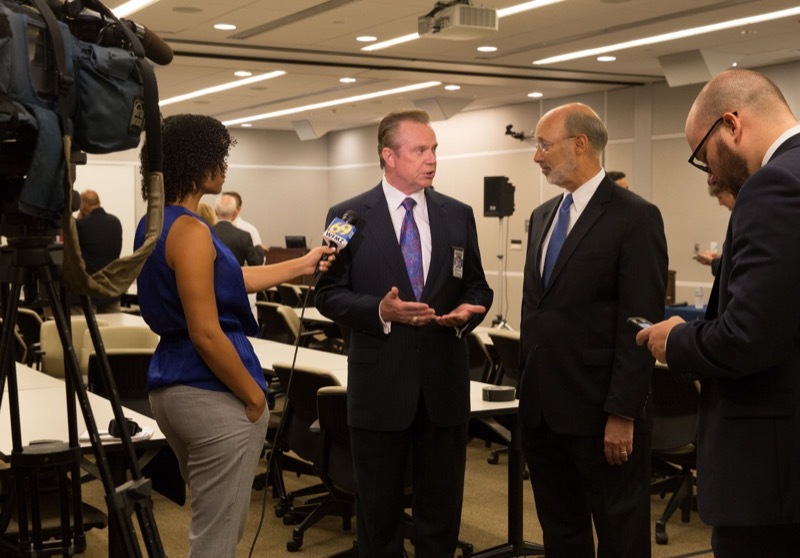 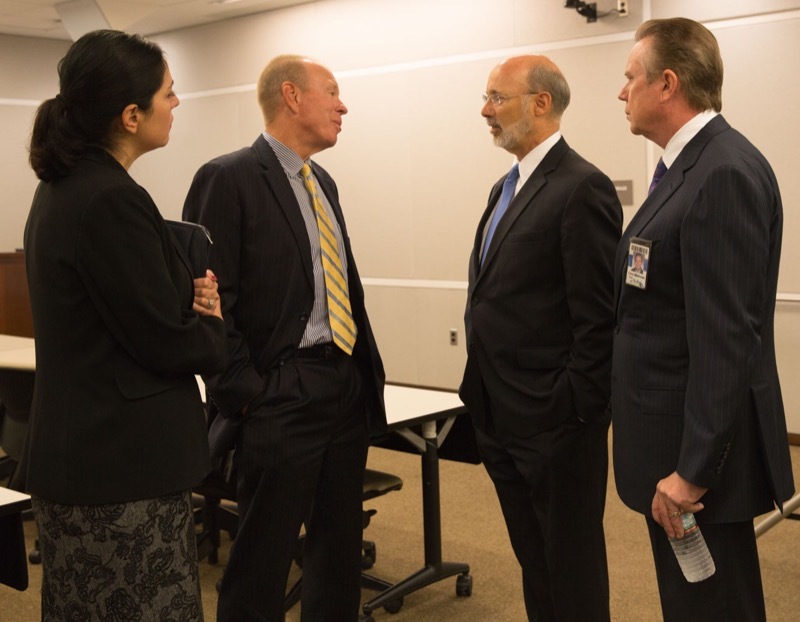 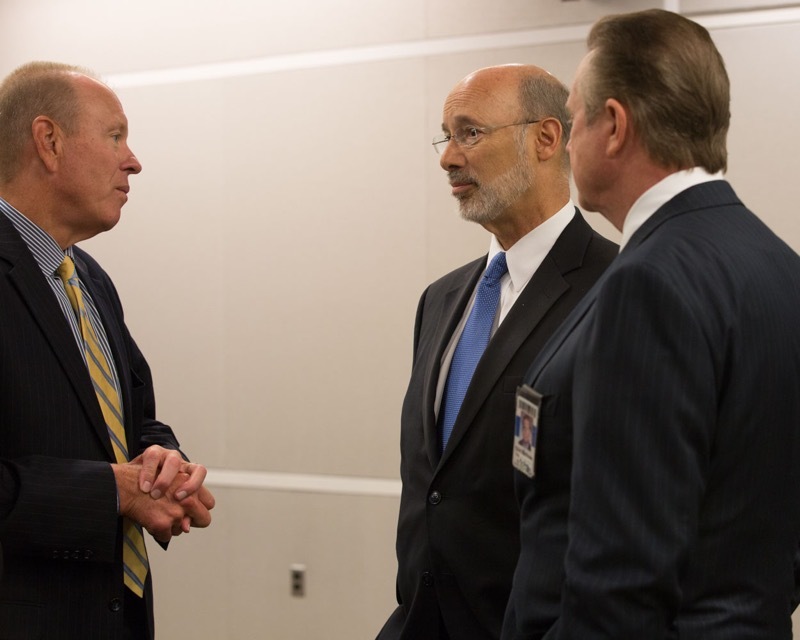 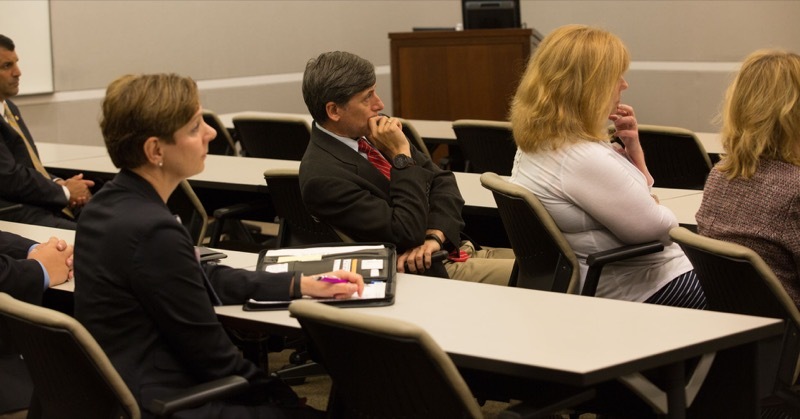 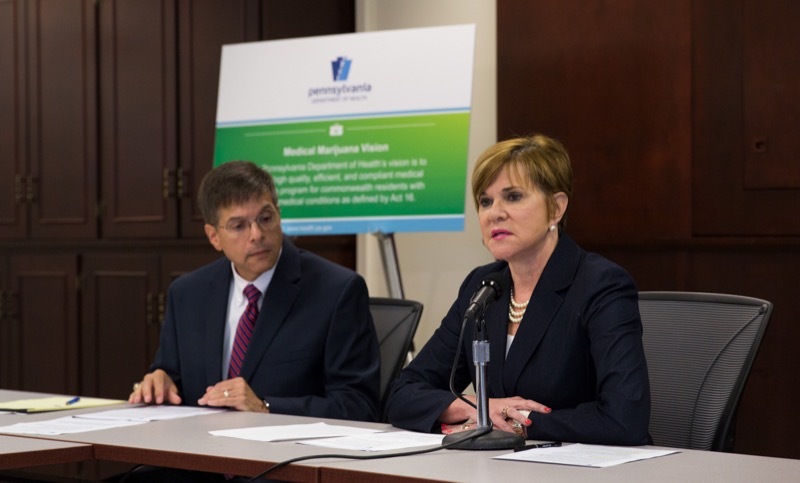 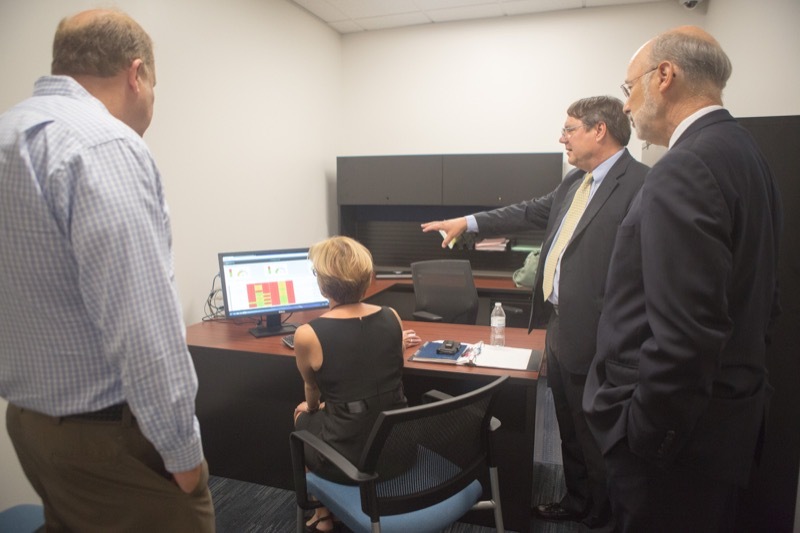 Governor Tom Wolf and Department of Human Services Secretary Ted Dallas visited the Reading Health System to discuss the significant strides made in the 2016-17 budget to combat the opioid and heroin epidemic in Pennsylvania. 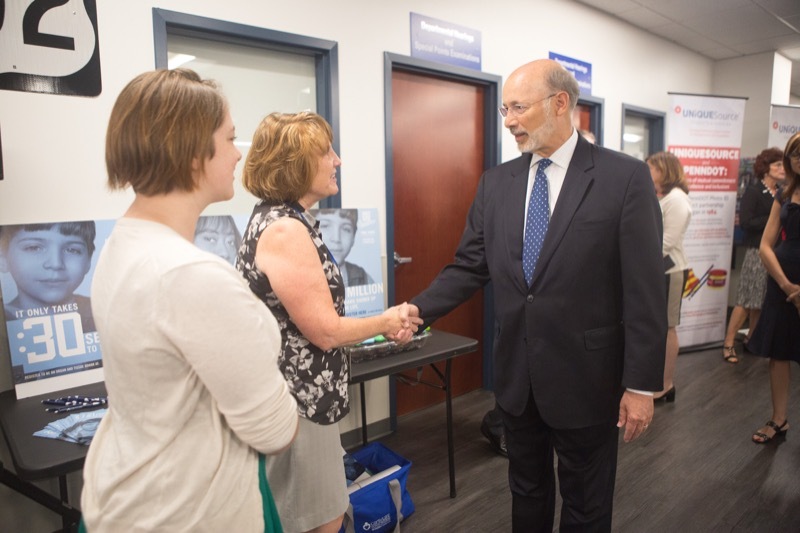 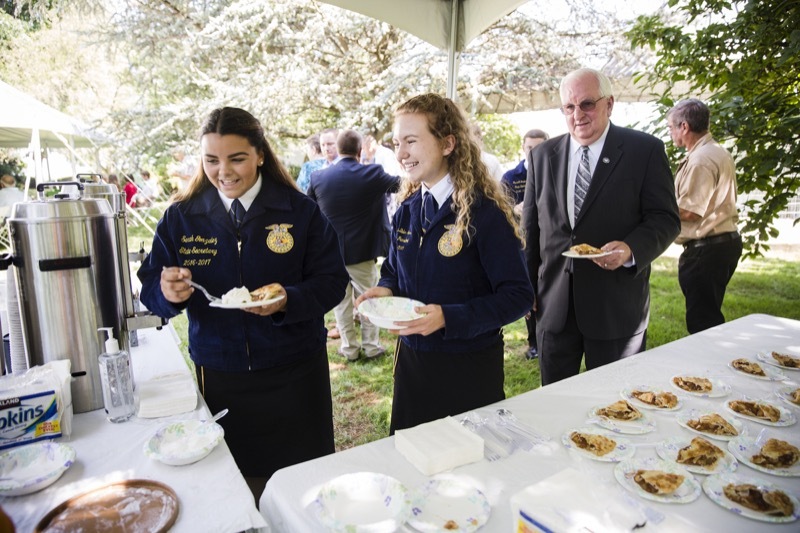 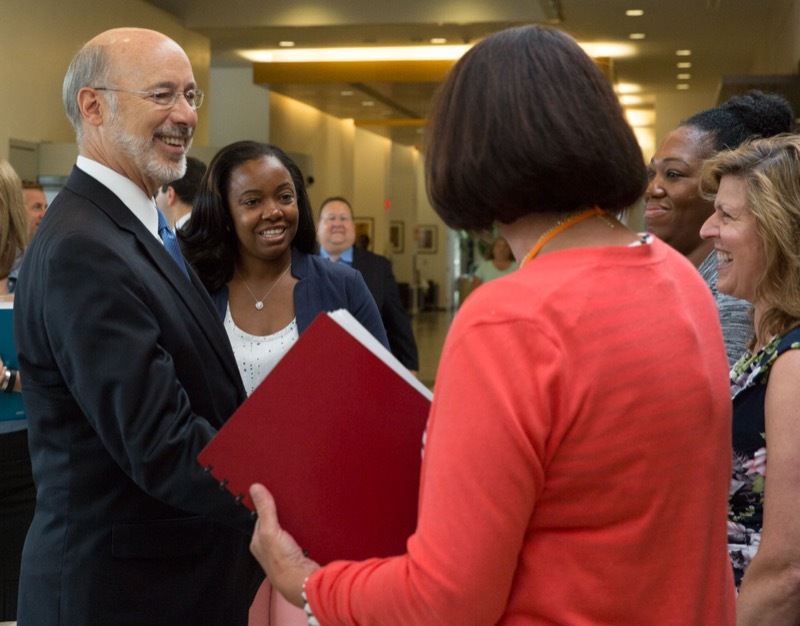 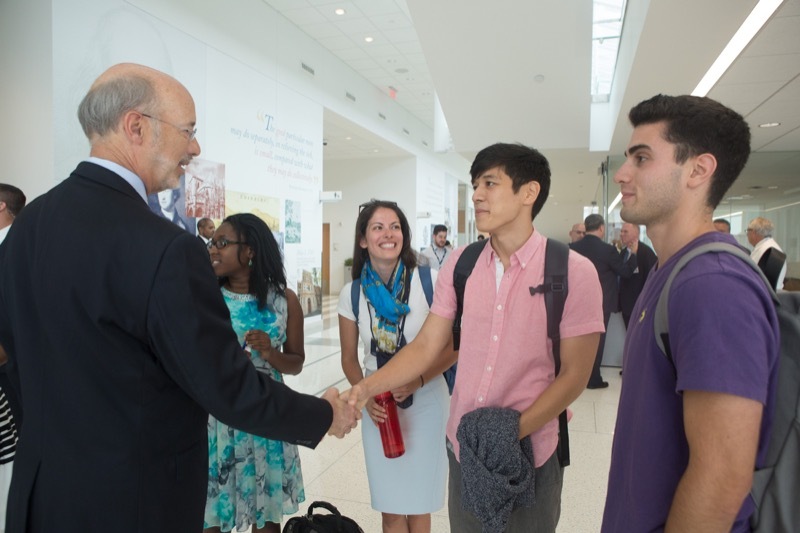 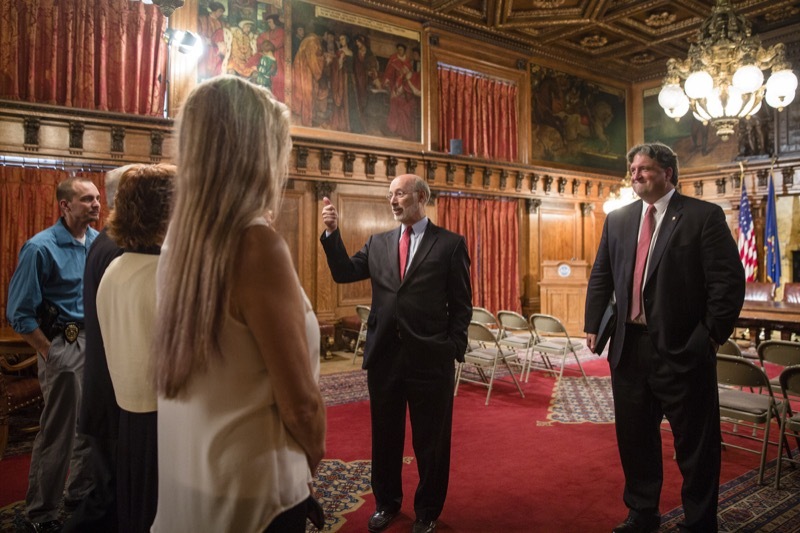 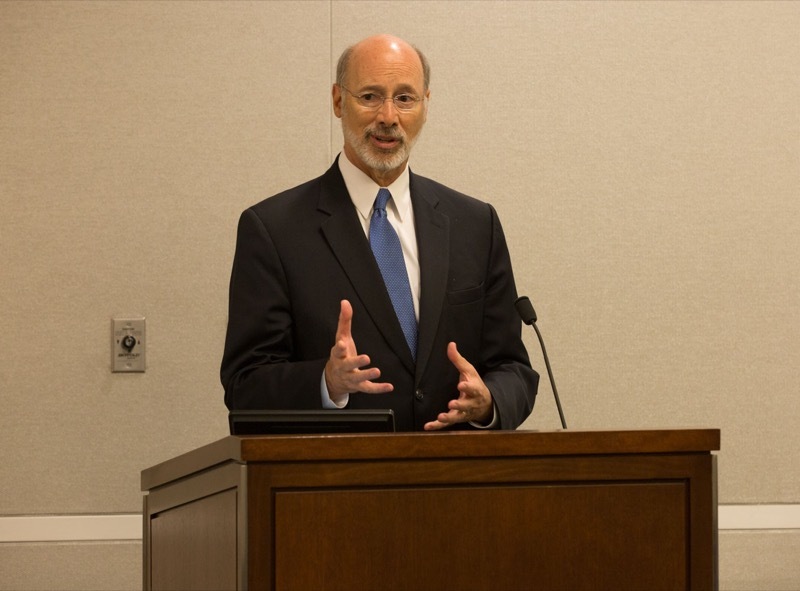 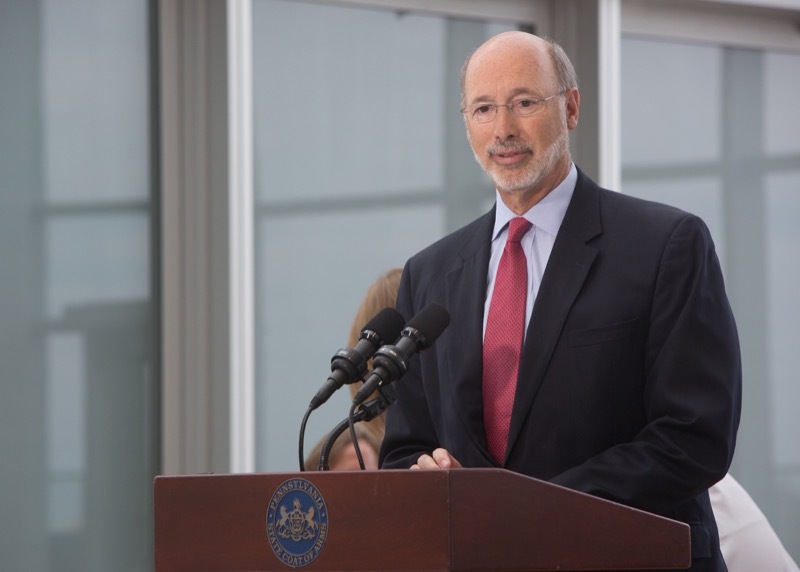 Earlier this week, Governor Wolf announced that his administration will implement an additional 25 Centers of Excellence (COE) locations throughout the state by January 1, 2017. 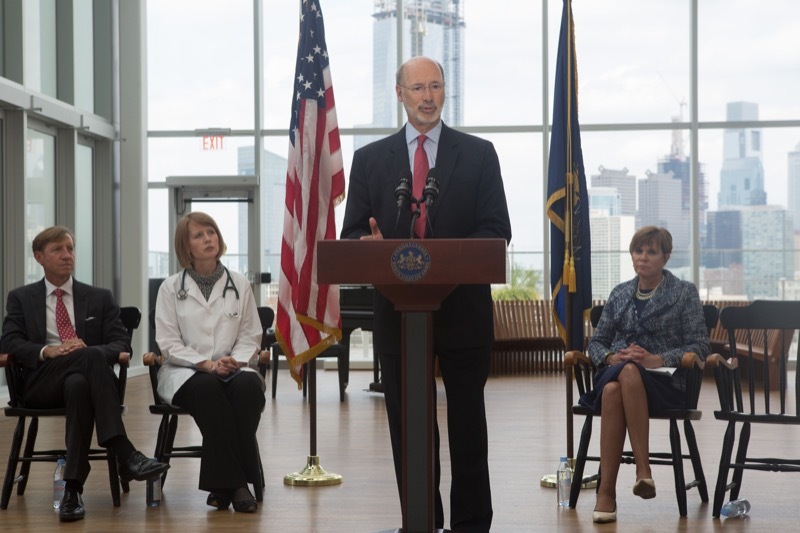 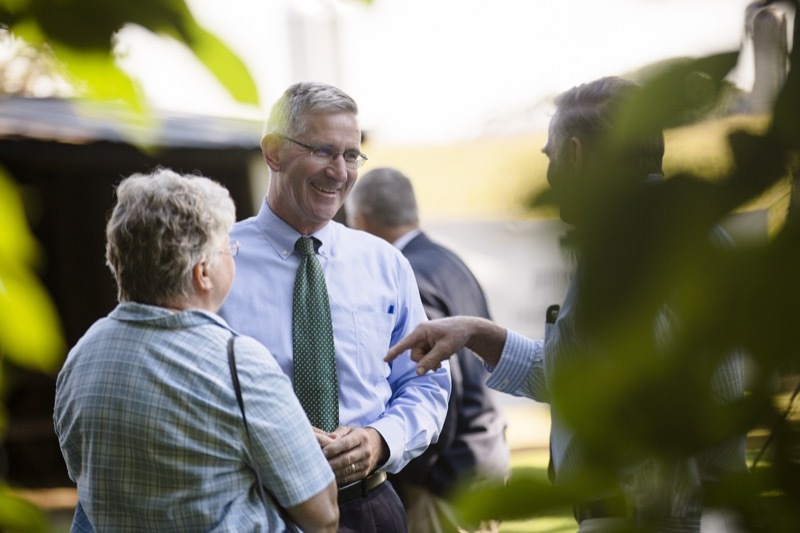 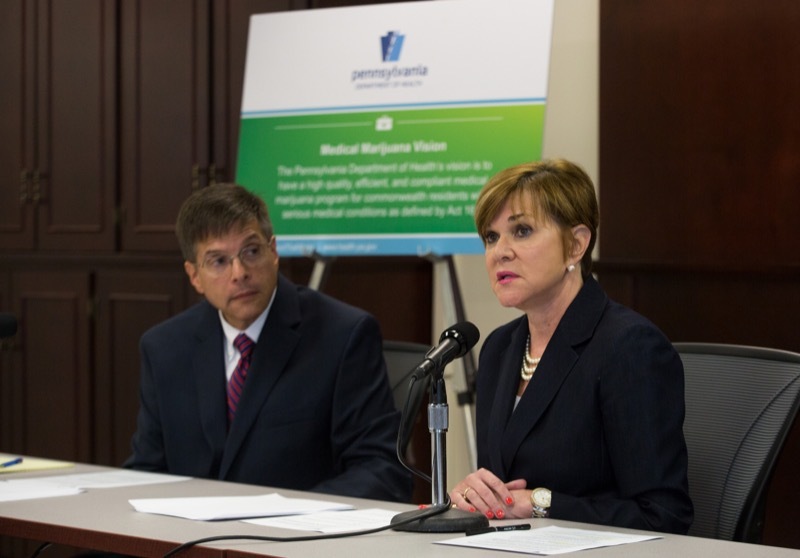 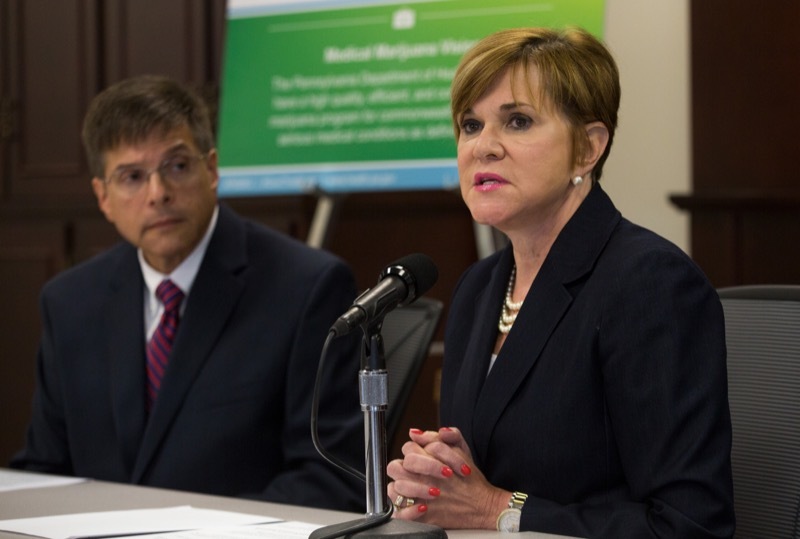 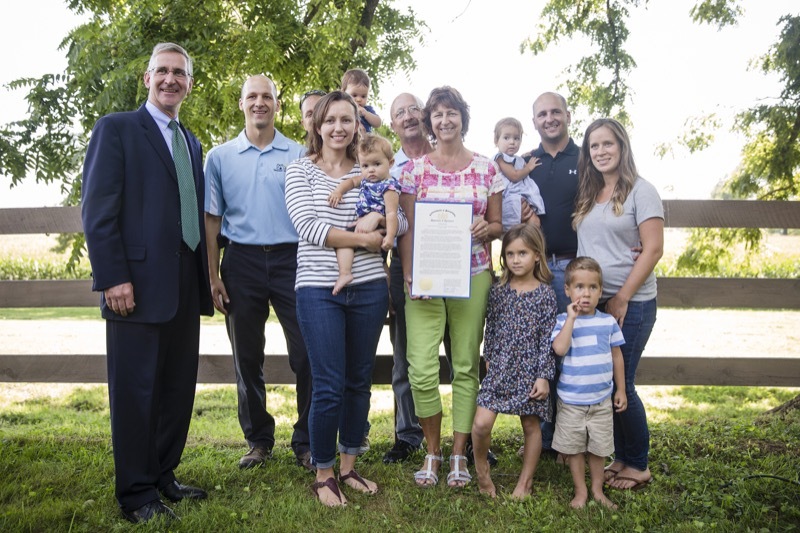 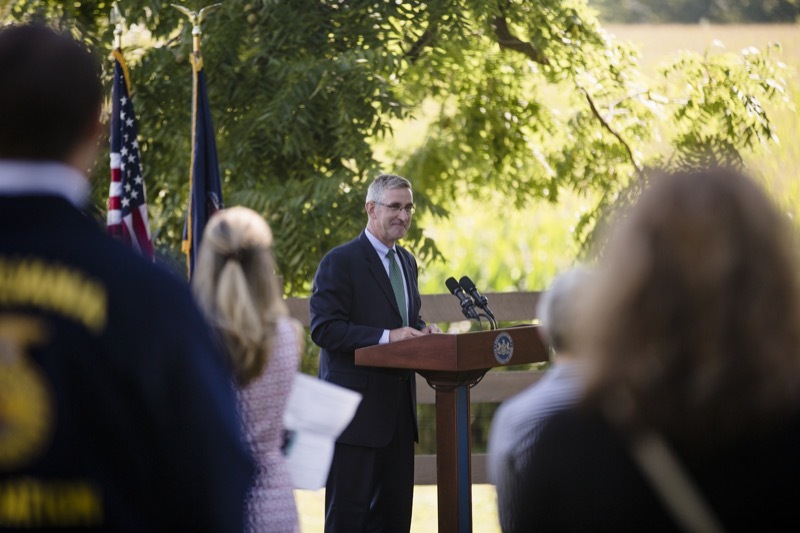 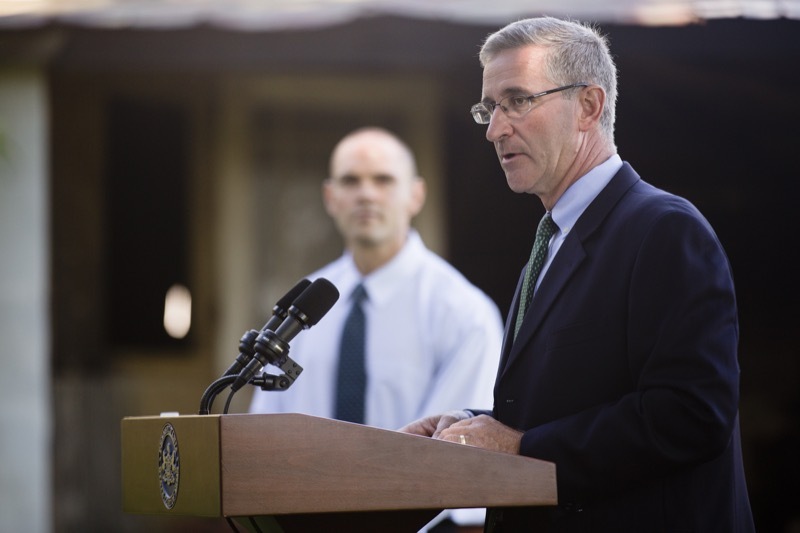 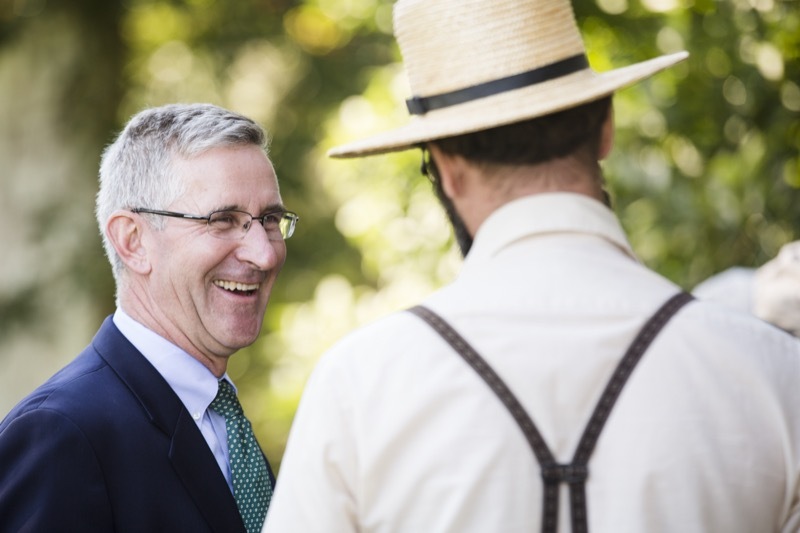 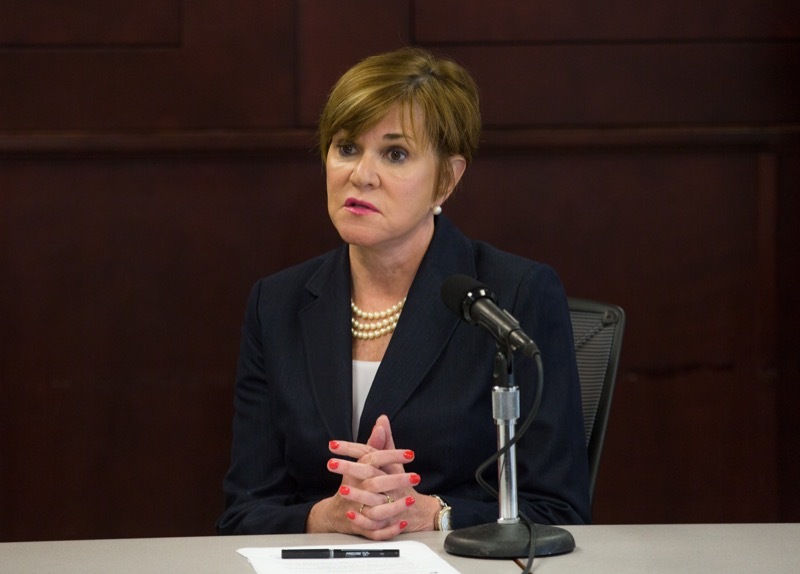 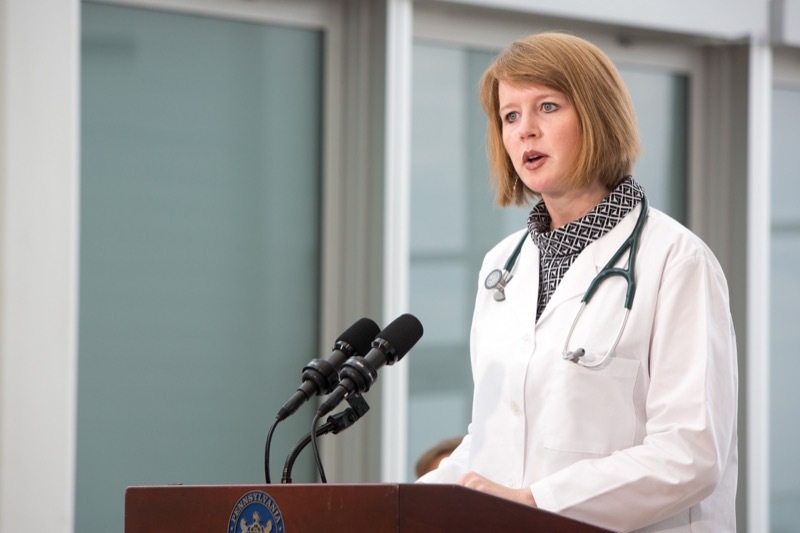 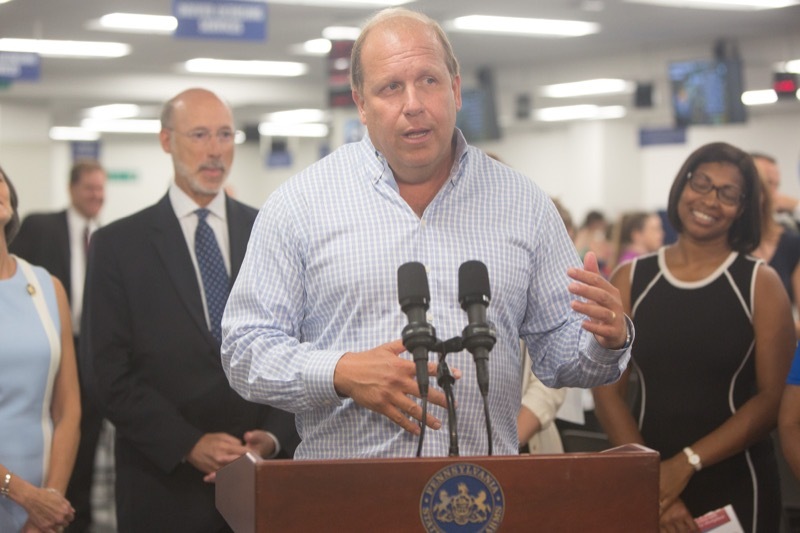 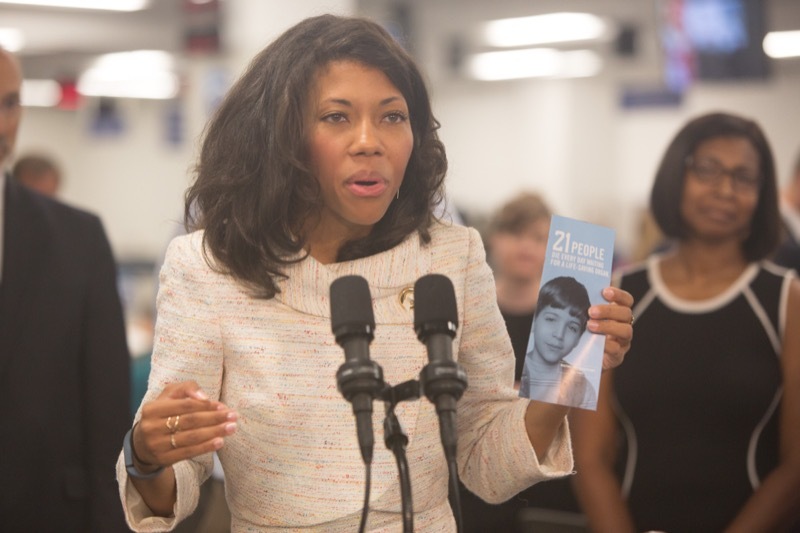 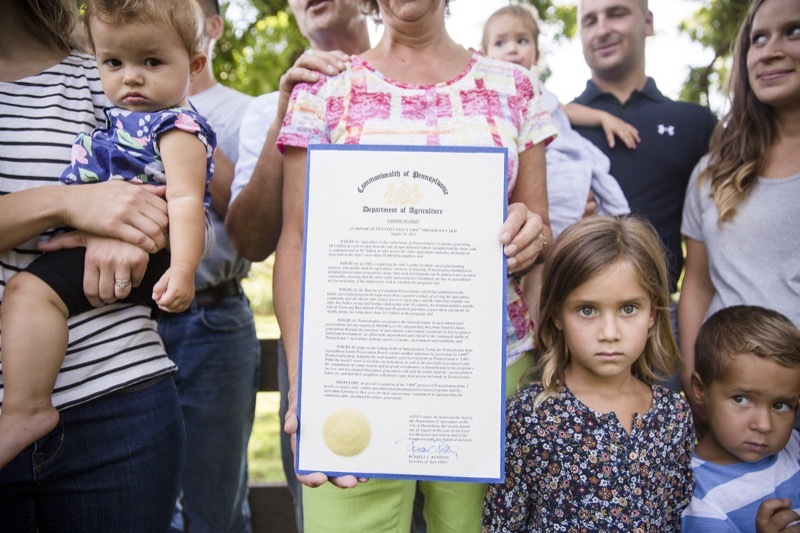 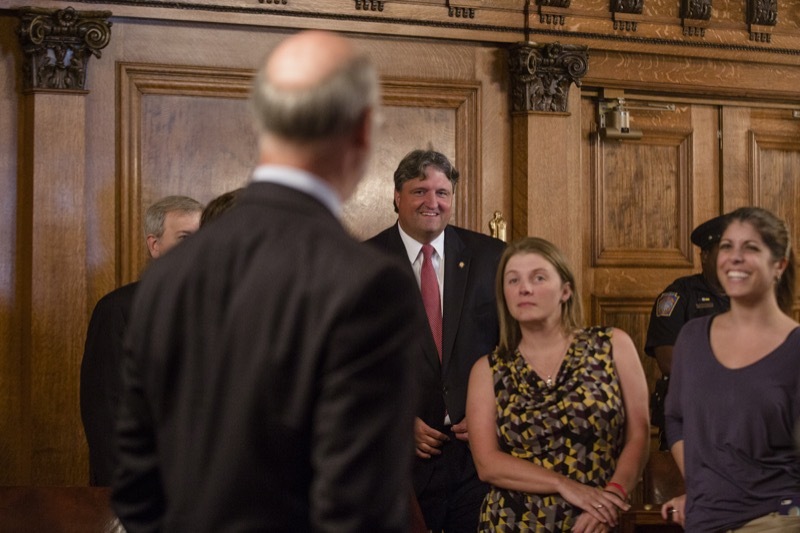 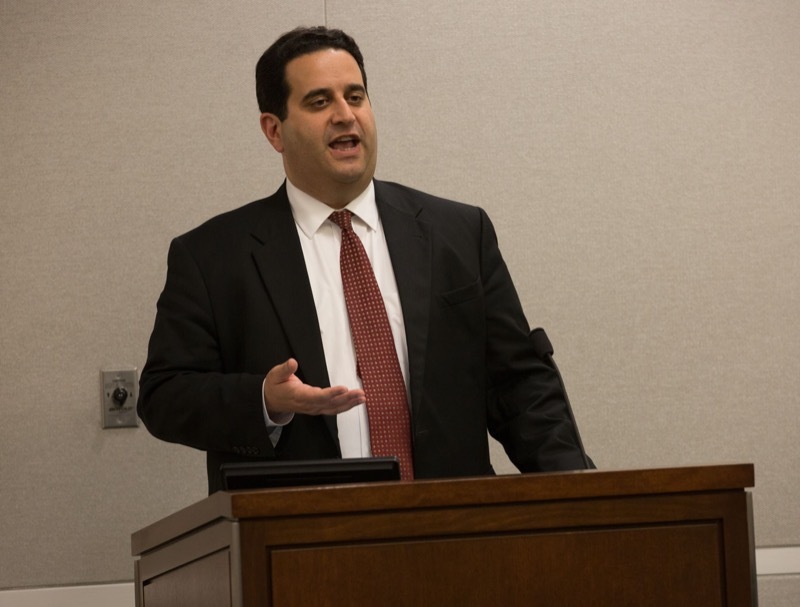 The COEs will offer treatment to Pennsylvanians with opioid-related substance use disorder. 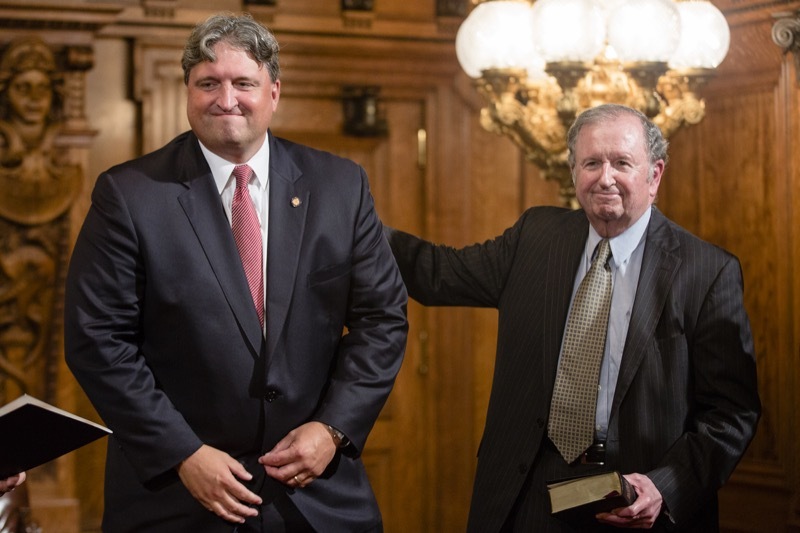 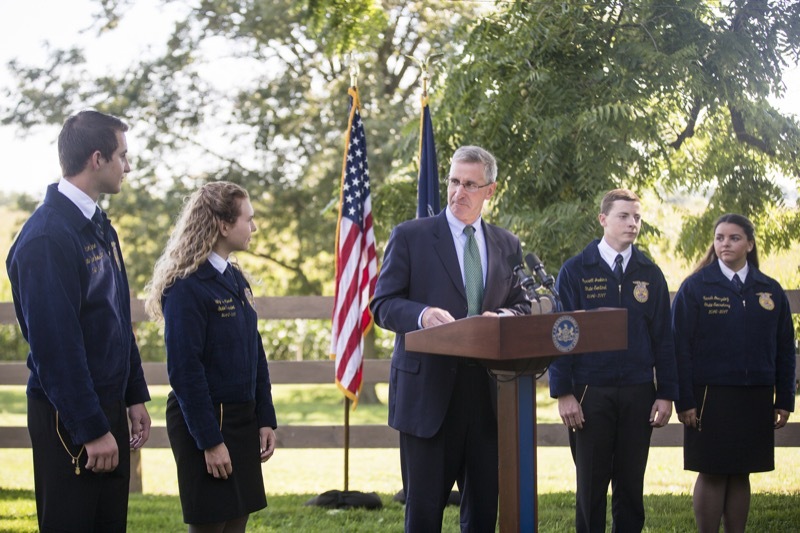 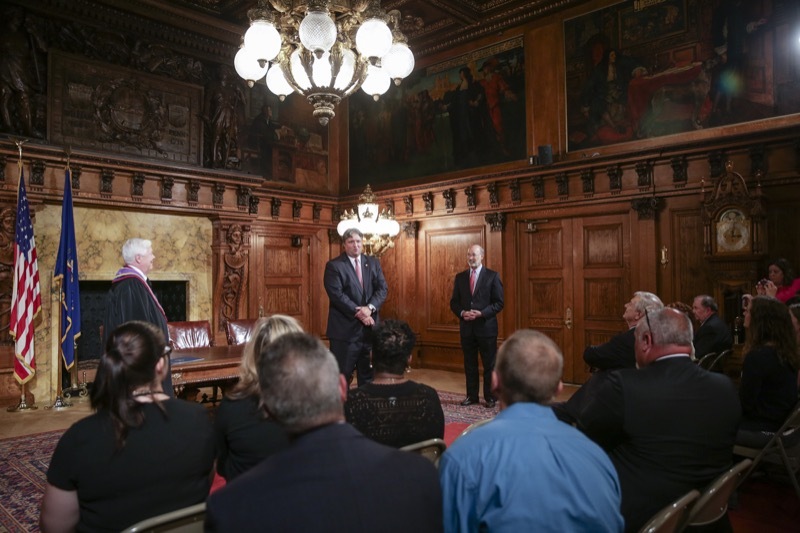 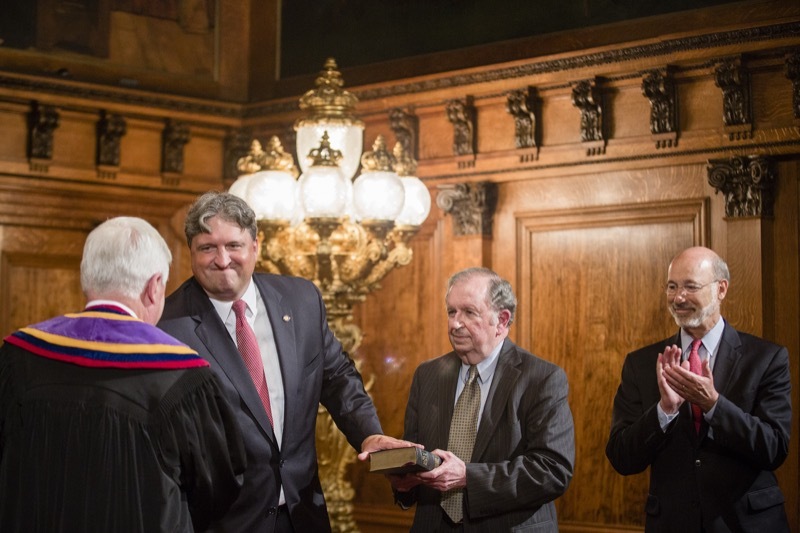 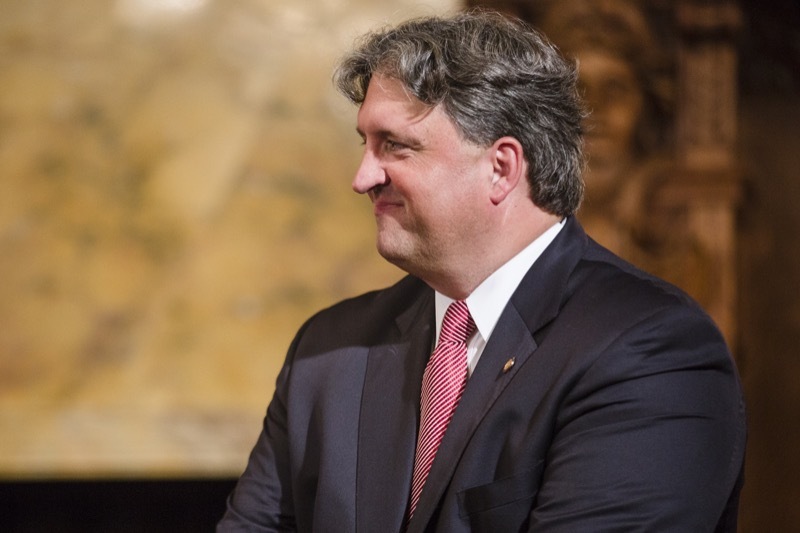 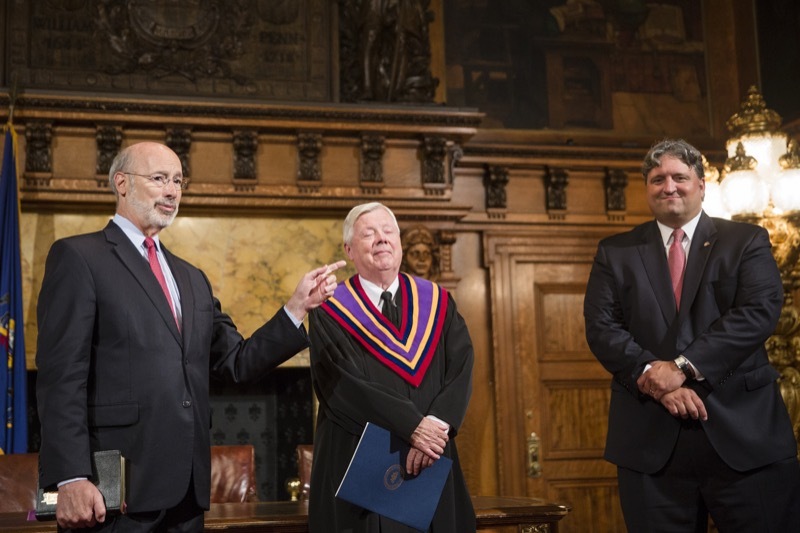 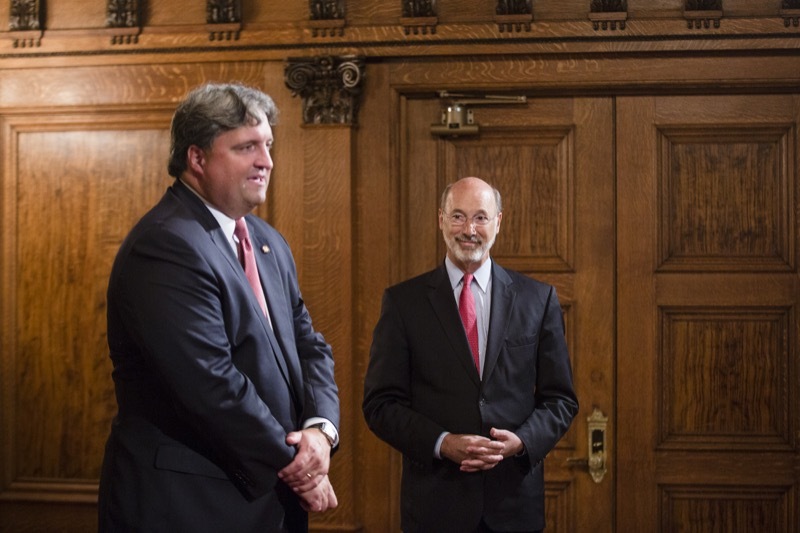 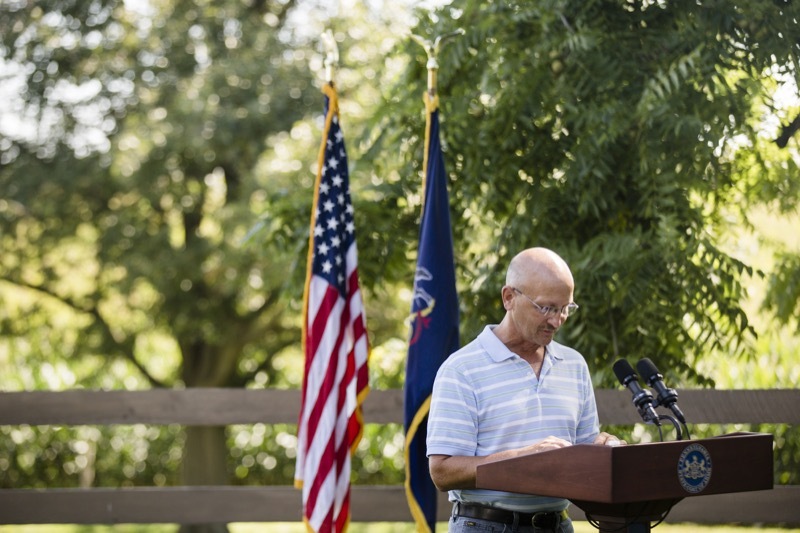 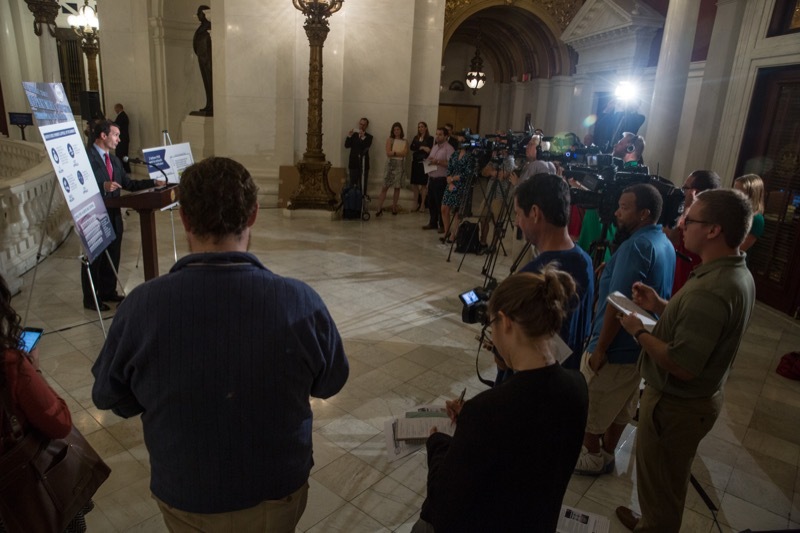 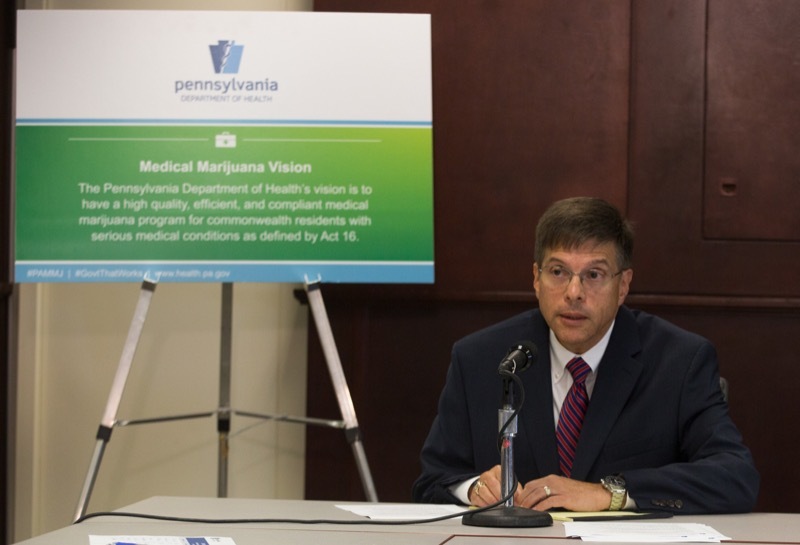 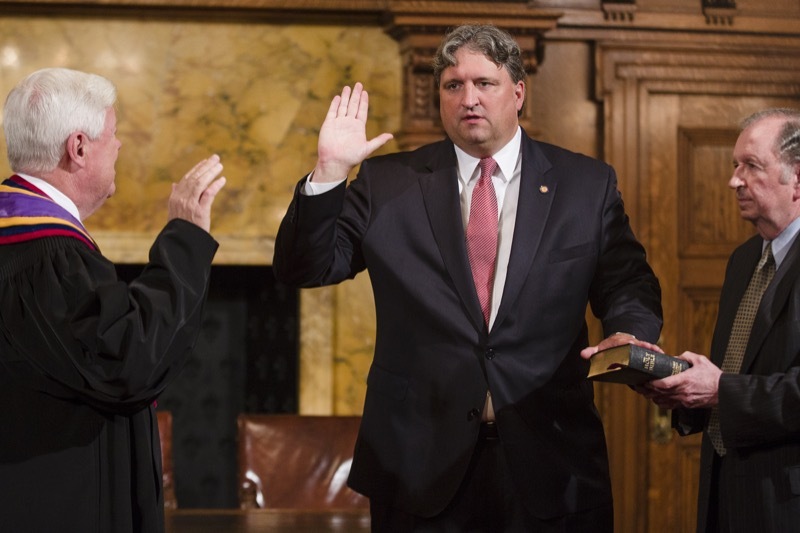 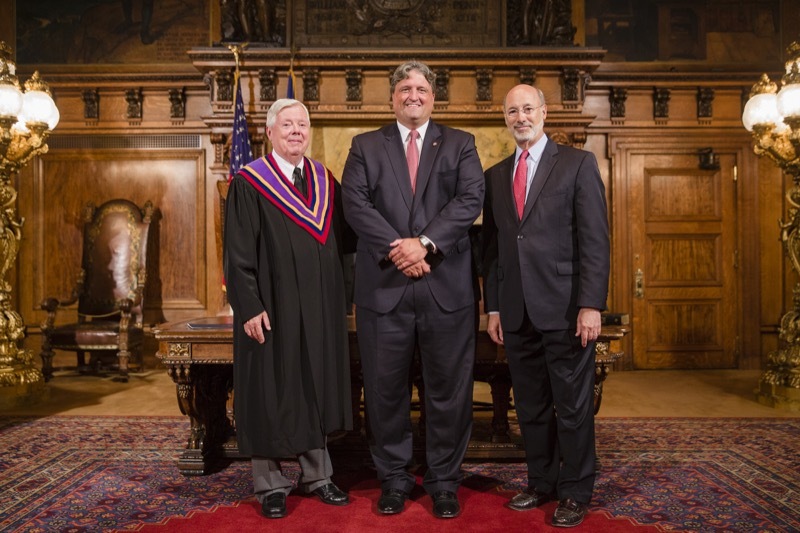 Harrisburg, PA - Governor Tom Wolf released the a statement on the Senate's confirmation of Bruce Beemer as Attorney General of Pennsylvania. 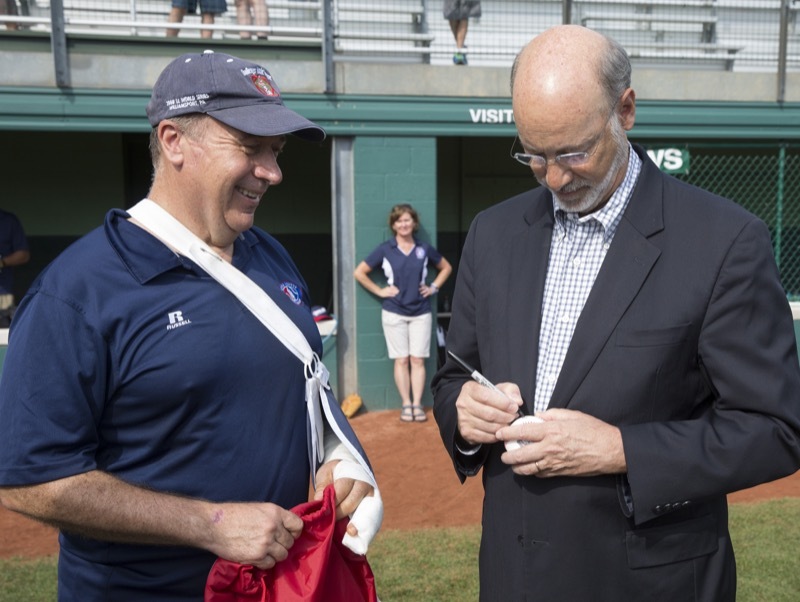 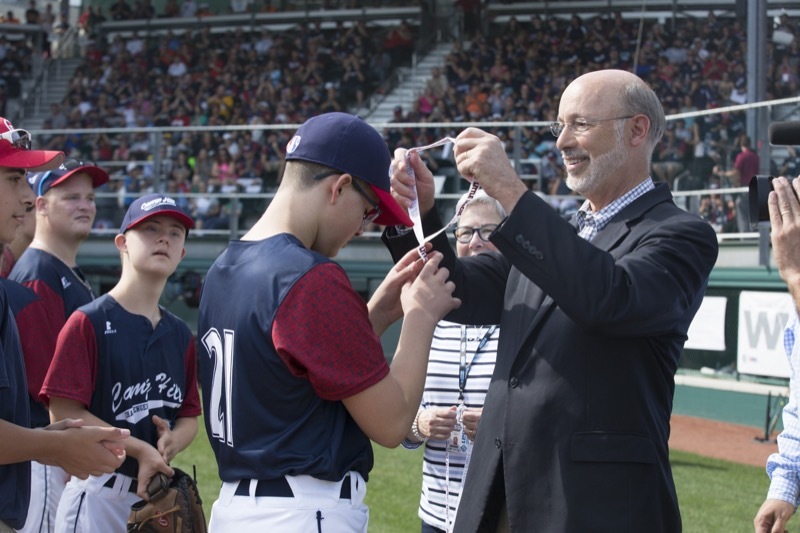 Governor Wolf attended a Little League World Series exhibition game featuring the Camp Hill Challenger Baseball Program. 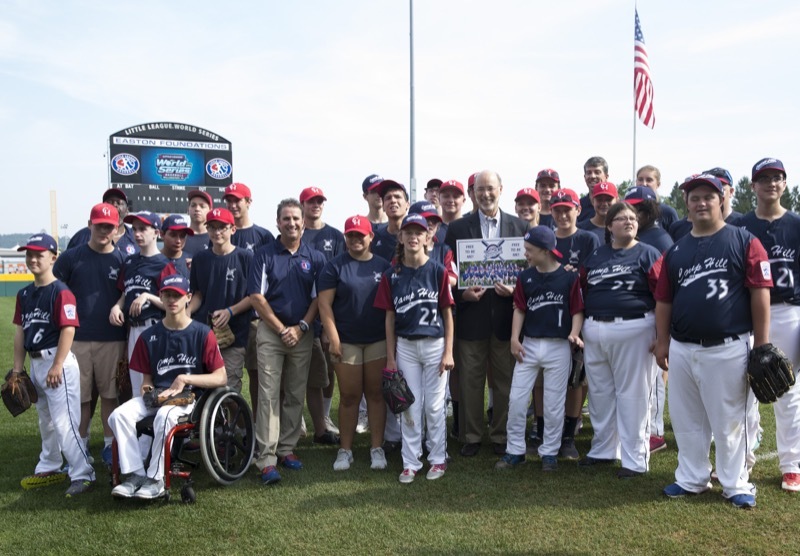 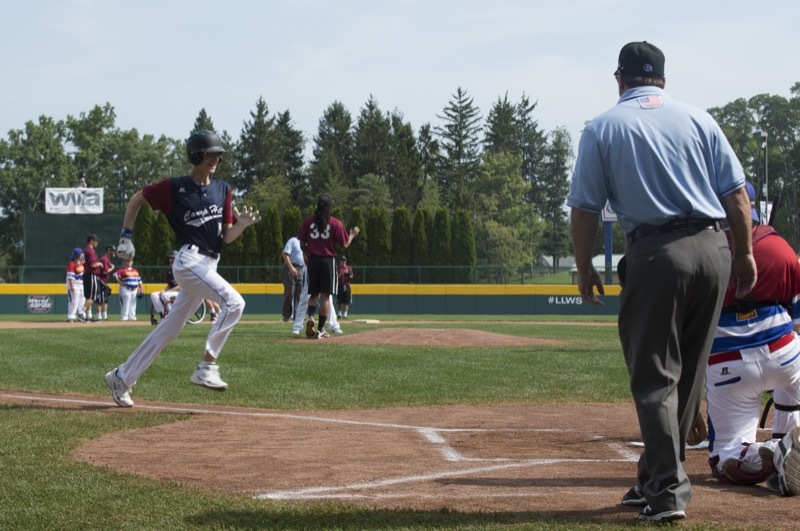 The Camp Hill Challenger Baseball Program was founded in 1998. 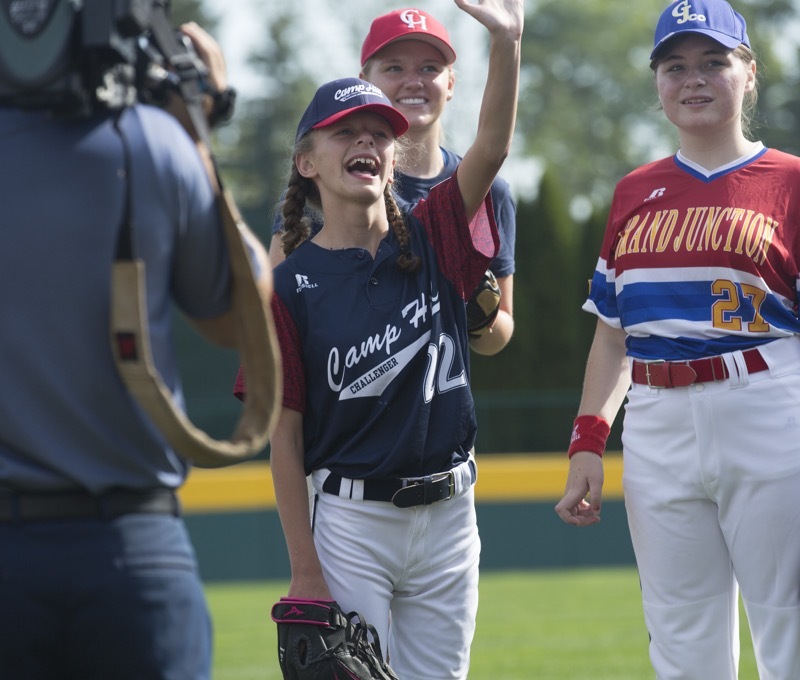 Since its inception, it has grown from 14 players and two teams to 70 players and six teams. 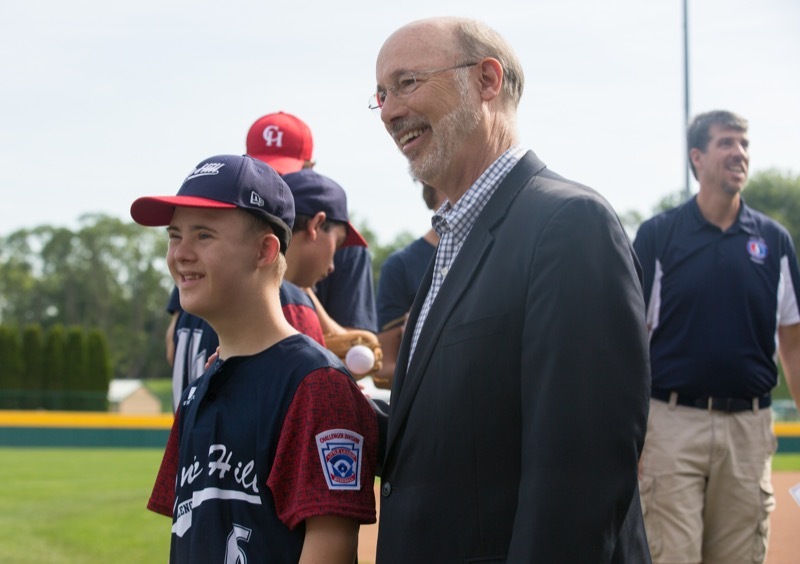 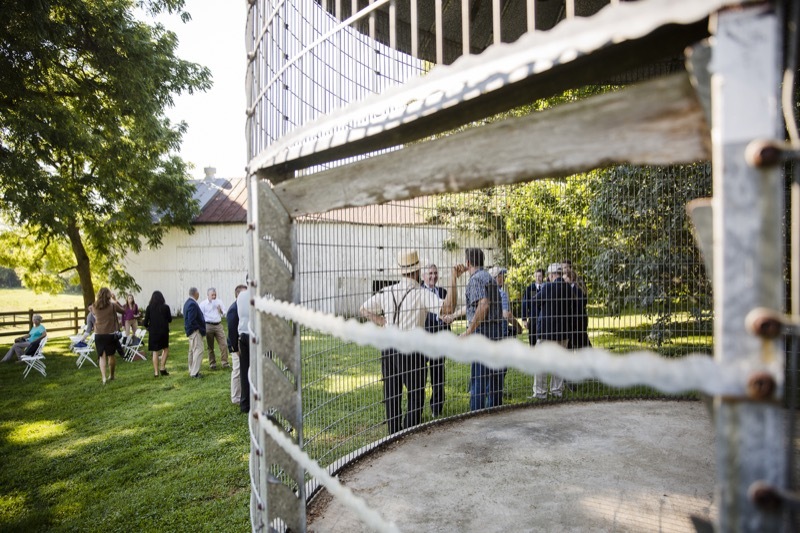 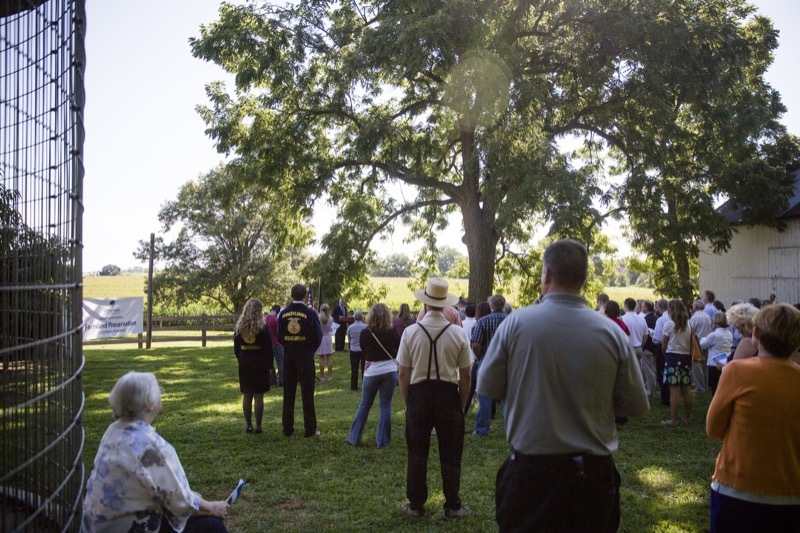 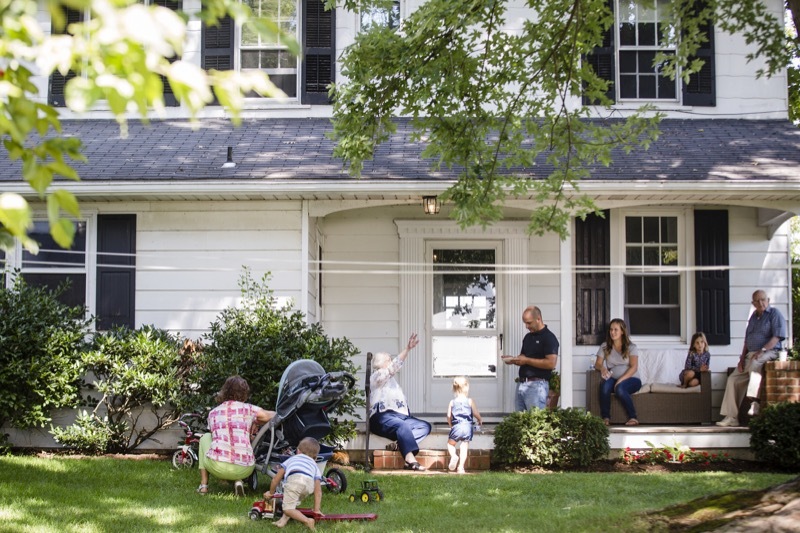 The program serves children and adults, age 5 to 21, with emotional and physical challenges from Cumberland, Dauphin, York, and Perry counties. 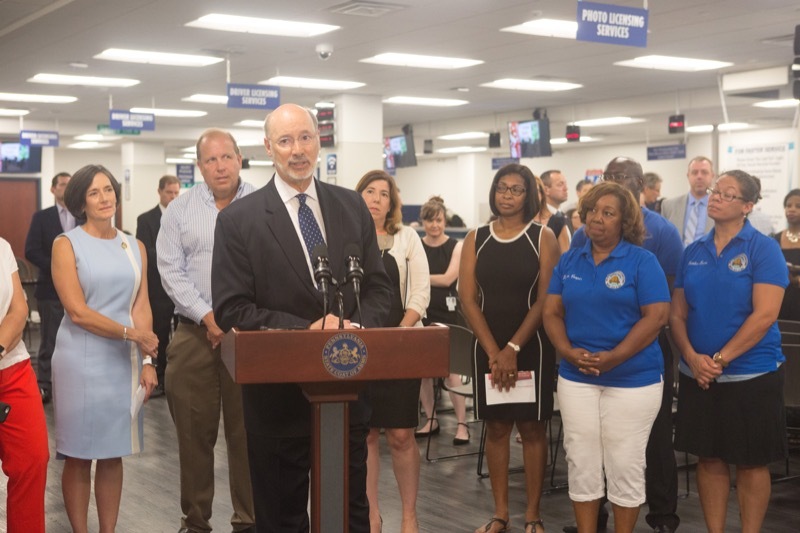 At a public event this morning, Governor Wolf and Secretary of Transportation Leslie S. Richards celebrated new innovations in customer service and experience at the grand opening of the new driver's license center in Norristown. 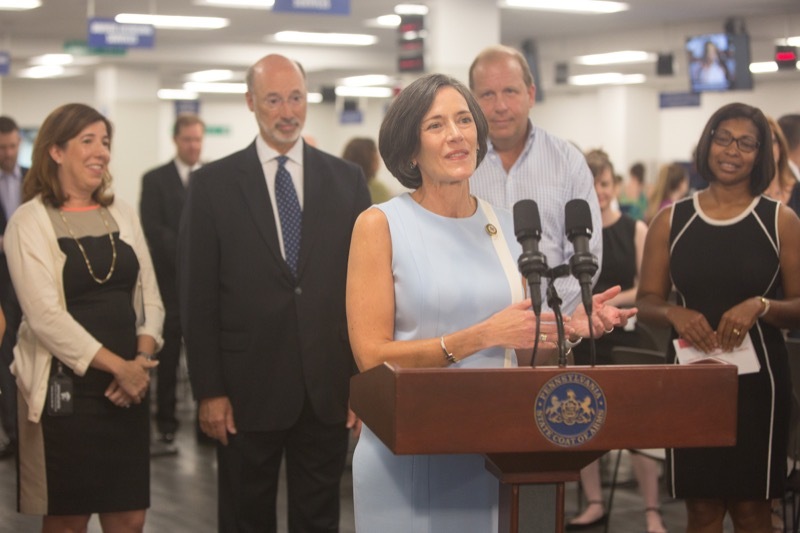 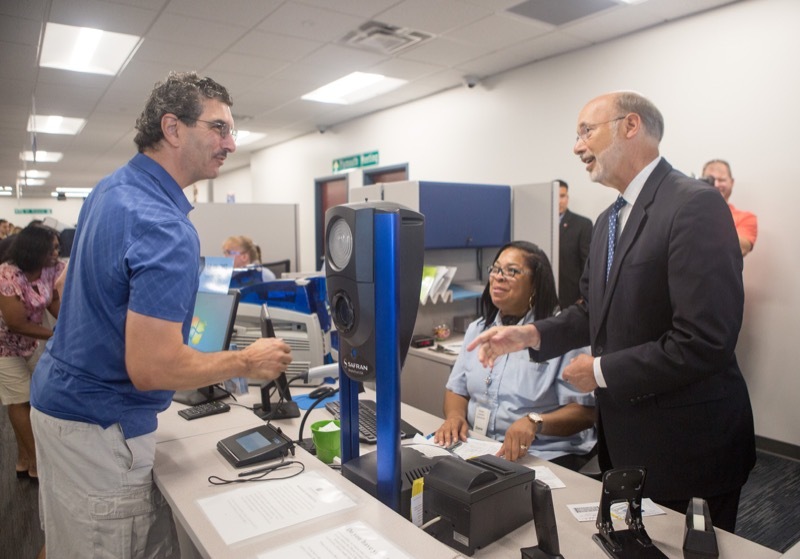 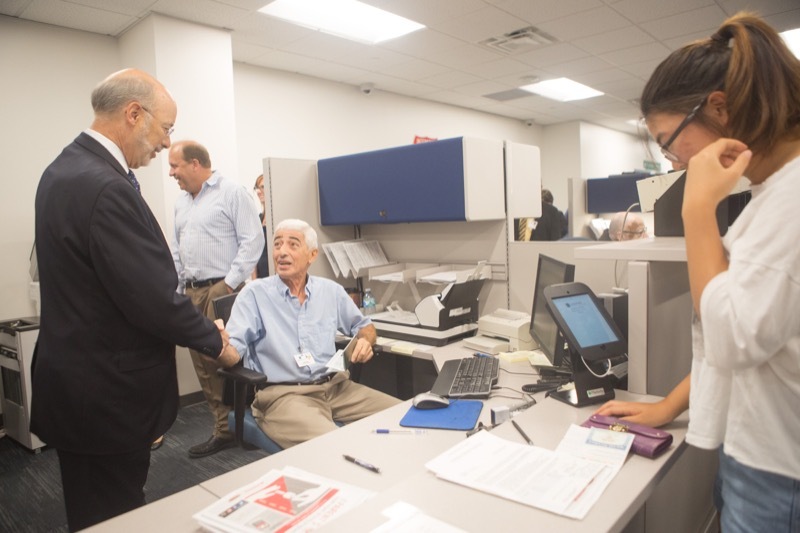 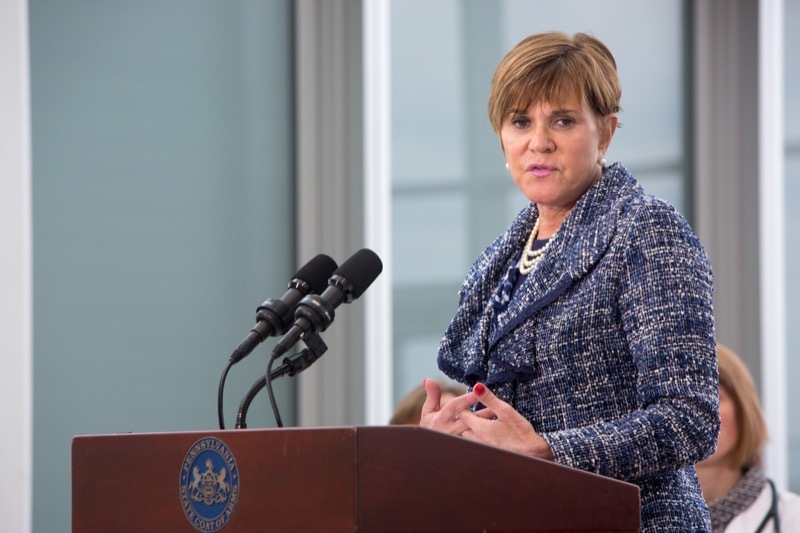 Norristown, PA - At a public event this morning, Governor Wolf and Secretary of Transportation Leslie S. Richards celebrated new innovations in customer service and experience at the grand opening of the new driver's license center in Norristown. 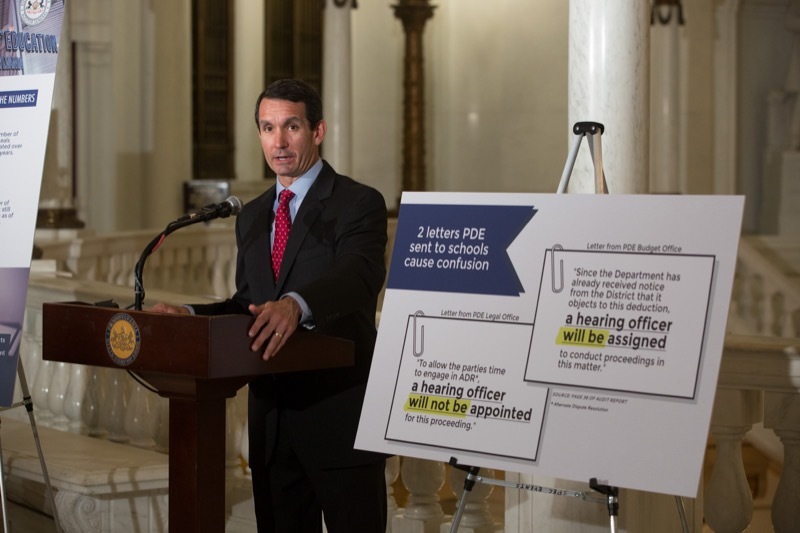 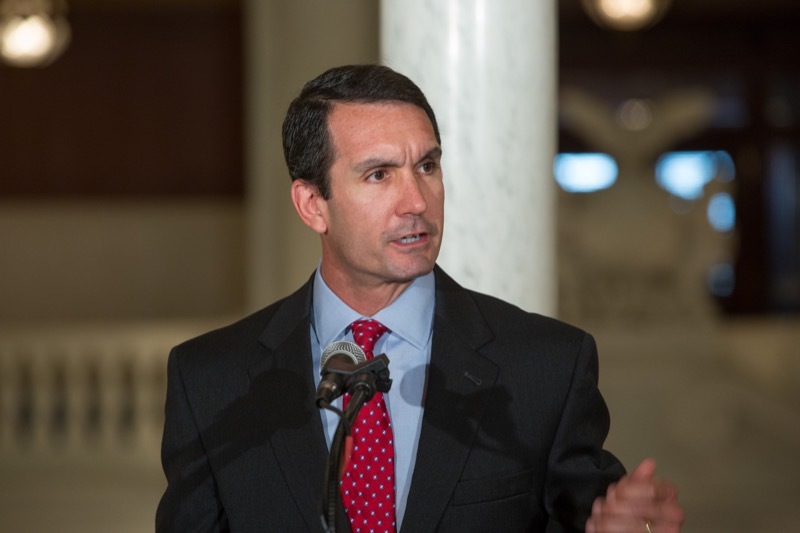 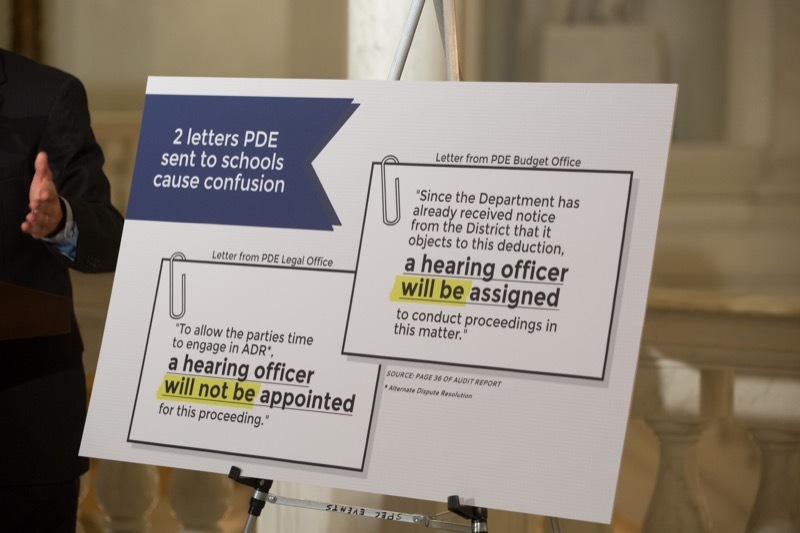 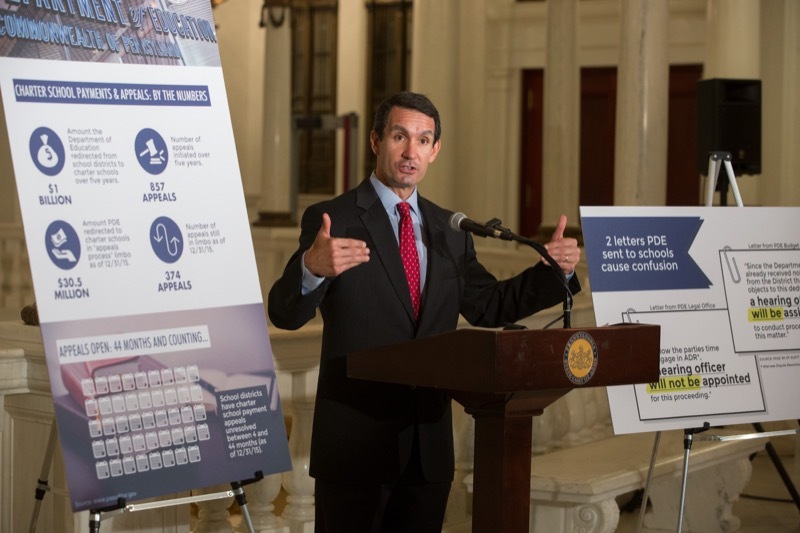 HARRISBURG - Auditor General Eugene DePasquale today said his latest audit shows that a faulty Charter School Law and the Pennsylvania Department of Education's (PDE) protracted, inconsistent, confusing, and conflicting process for handling charter school payment challenges may unfairly favor charter schools over school districts.